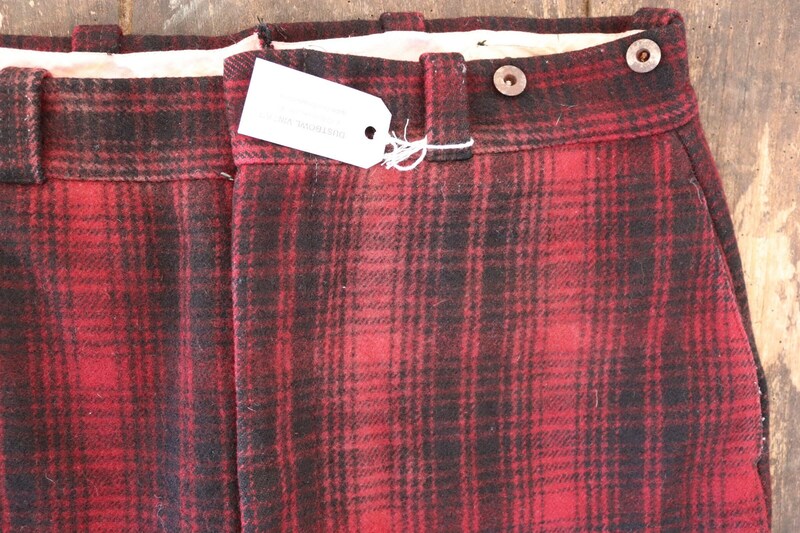 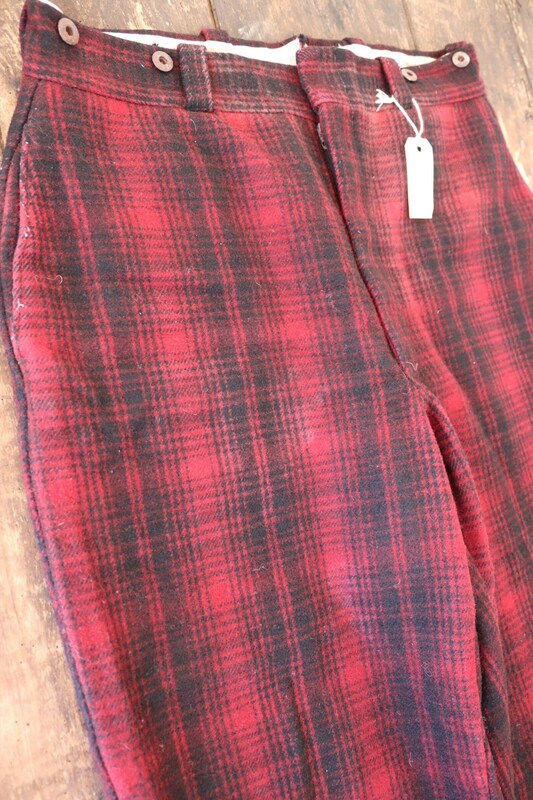 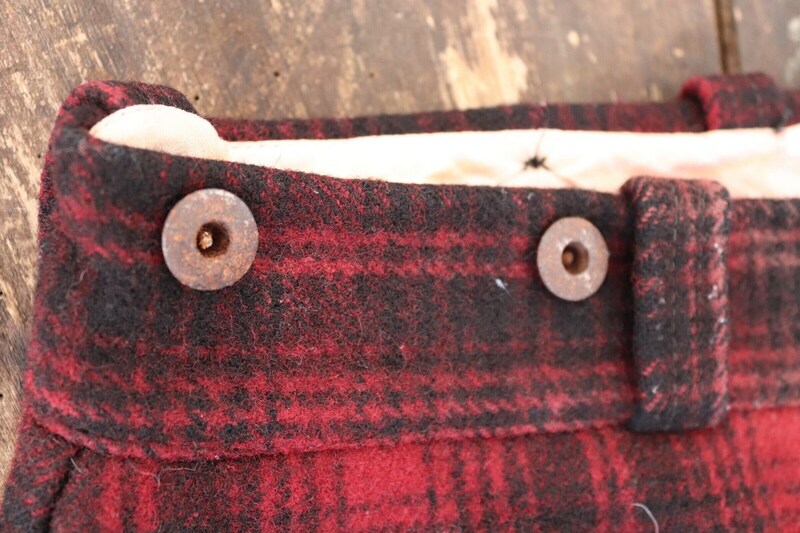 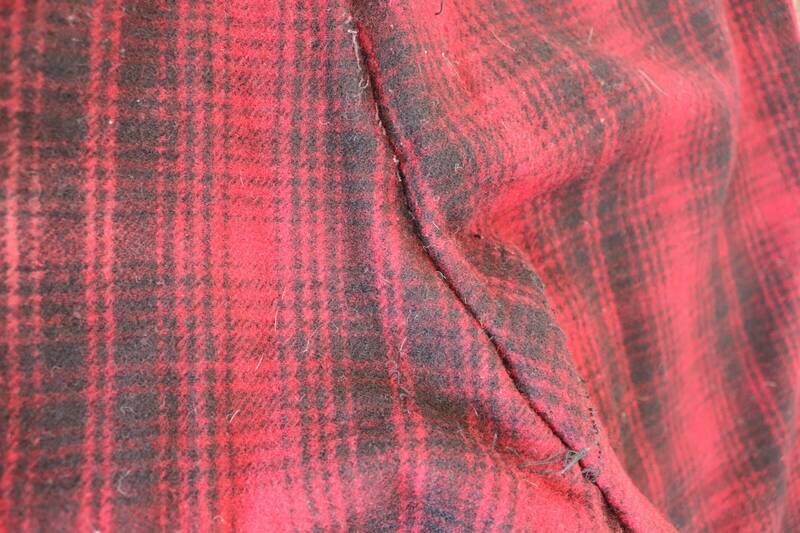 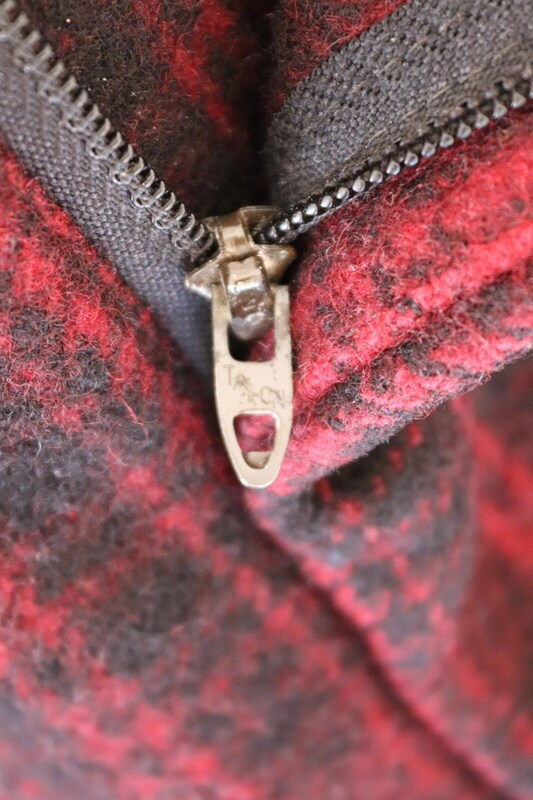 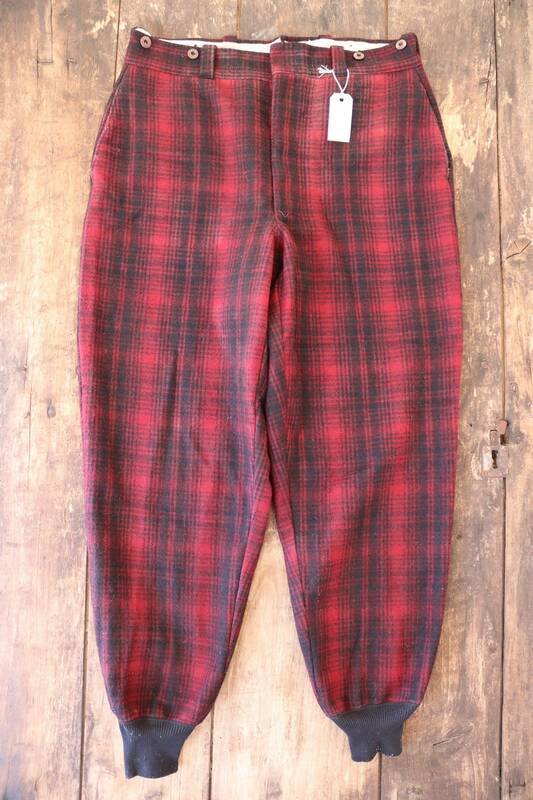 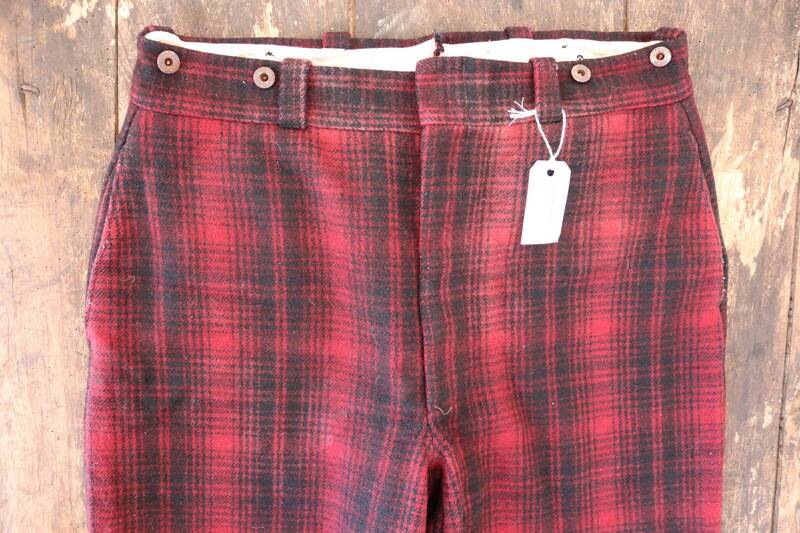 A pair of thick red and black checked wool hunting trousers by Woolrich. 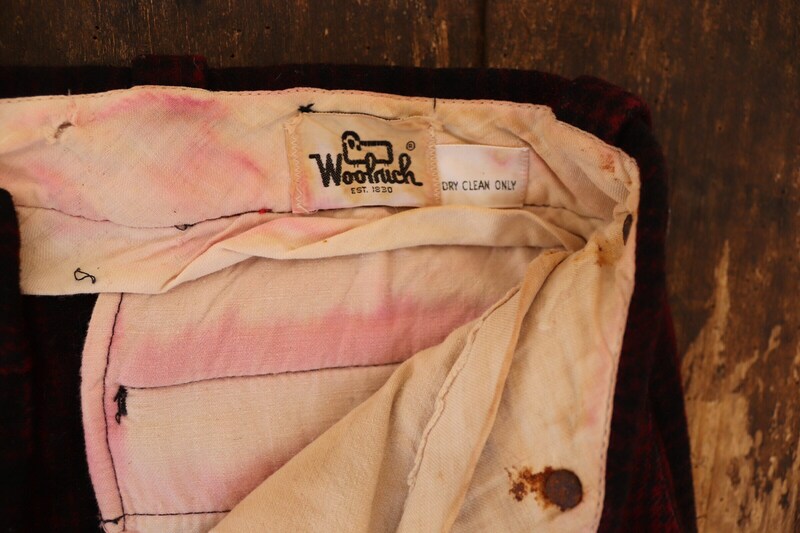 Noted flaws - faded colour around the waist area and colour run on the lining - please see photos. 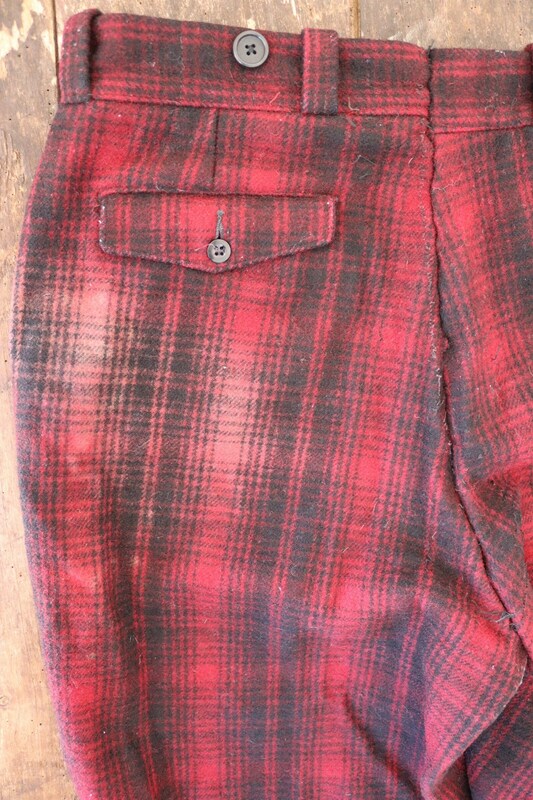 Great condition otherwise, elasticated ankles, Talon zipper fly, suspender buttons, great quality. 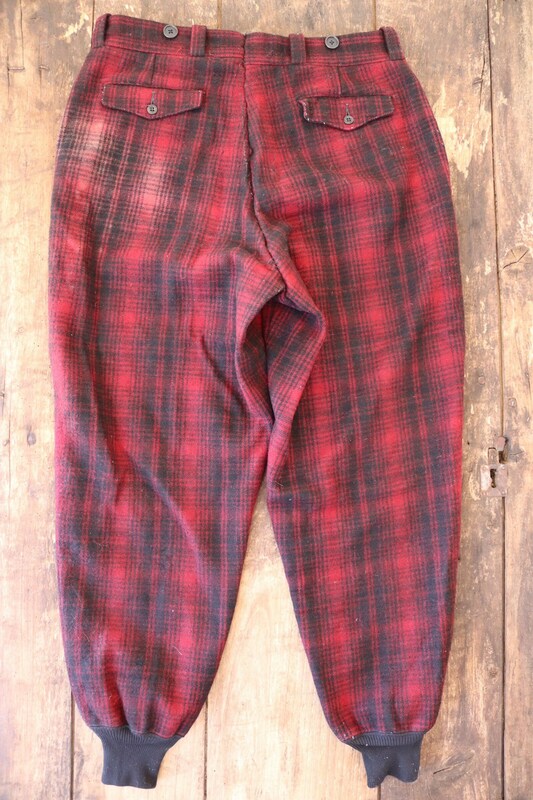 Leg opening at hem - 6"